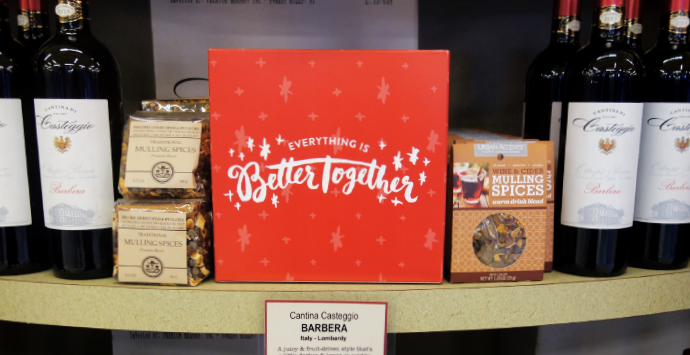 Our friends at New Seasons Market asked us to create integrated Holiday campaigns for their 2015 and 2016 programs to make their stores top-of-mind as the place to buy everything for that special Holiday feast. With their diversity of local, organic and conventional products; friendly, knowledgeable staff; and inimitable sense of ease and good cheer, we made sure holiday shoppers understood that New Seasons is the only store in town that makes the Holiday shopping season stress-free and—joyful. 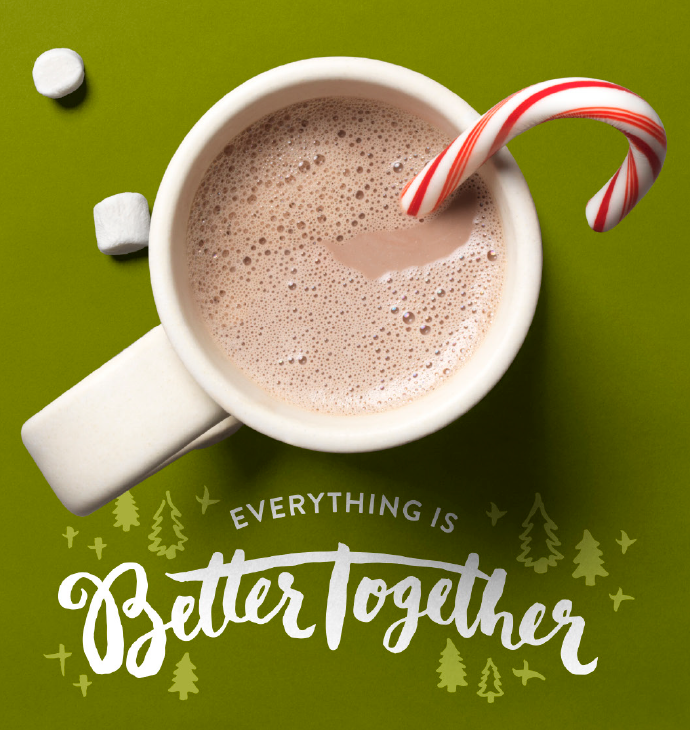 As with most retailers, The Holidays are an important time of year in the grocery business. 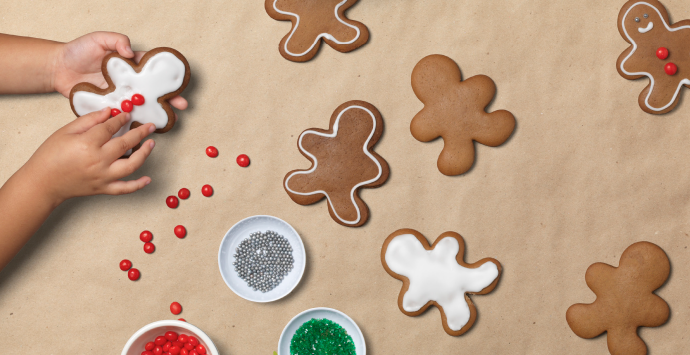 Over the past couple of years, we’ve worked with New Seasons to bring their quirky, home-grown brand personality to life in unique ways during this special season. 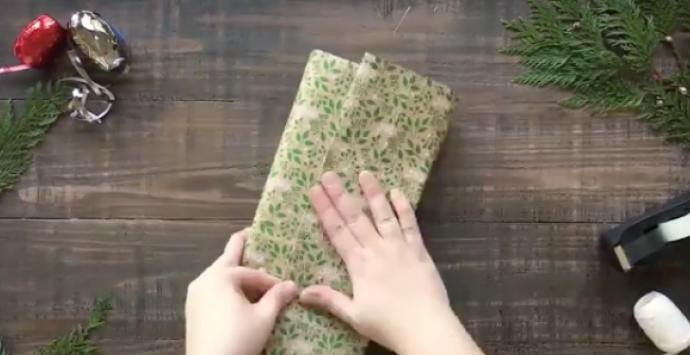 Campaigns that engaged consumers (both existing and new), added a level of festivity to their stores and ultimately helped to drive strong sales at this critical time of year. 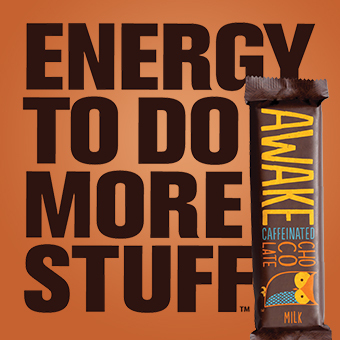 Each overall campaign theme needed to transition seamlessly from November to December to January (covering off on all the associated holidays therein) and needed to work across various mediums from OOH, to social, to collateral, to in-store, to radio. 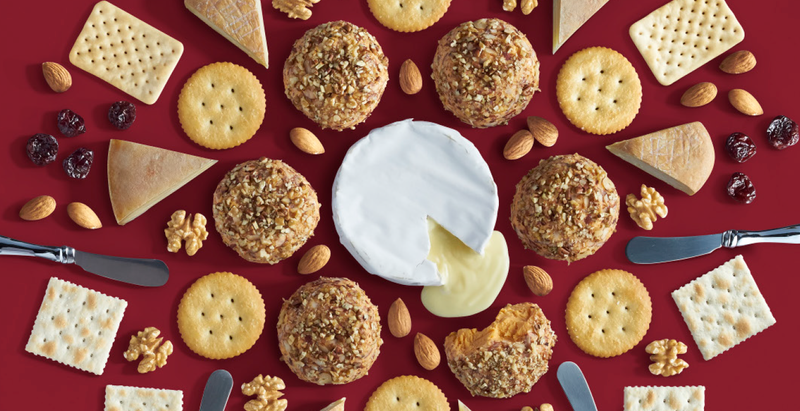 During the Holidays, people come together to celebrate and share good food. They spend months planning the menu to make sure to delight every taste at their table. 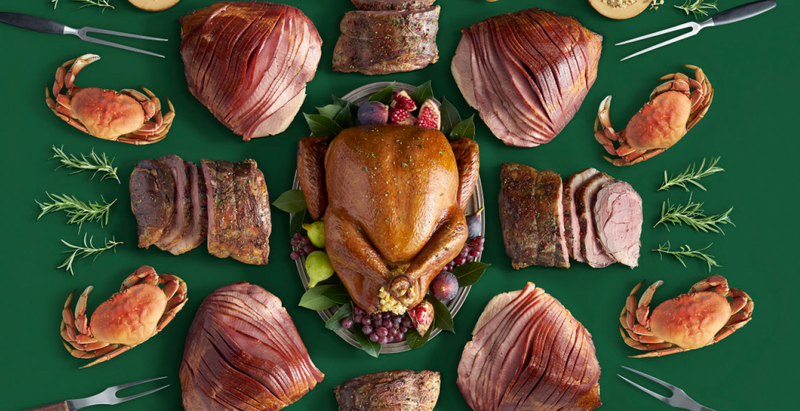 They make trip after trip to the grocery store to find just the right ingredients, then spend days preparing the most perfect feast for the people they love. It can be a stressful shopping season—Uncle Joe loves relish straight from the can. Aunt Martha prefers nothing but fresh cranberries. 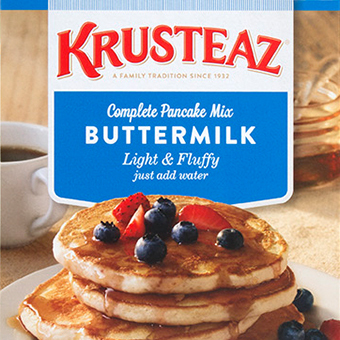 We all like our food, the way we like it. 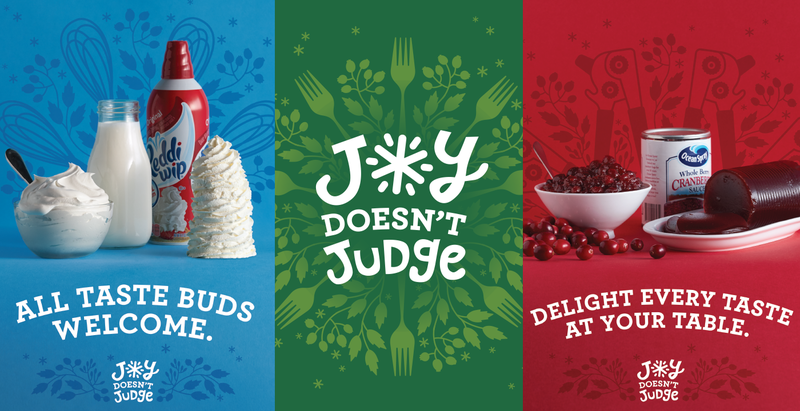 Whether it’s ham or TurDucKen, canned or fresh pumpkin, homemade rolls or the ones you pop out of a tin, joy comes in all tastes and flavors. It doesn’t judge and it never discriminates, and neither does New Seasons. 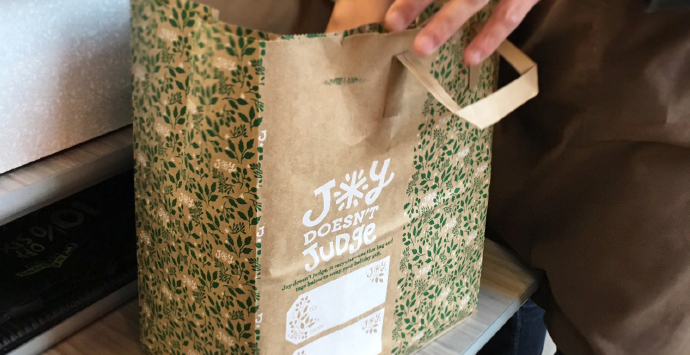 This joyful and slightly irreverent concept brings to life New Seasons’ core values of delivering choice that honors all tastes and budgets. 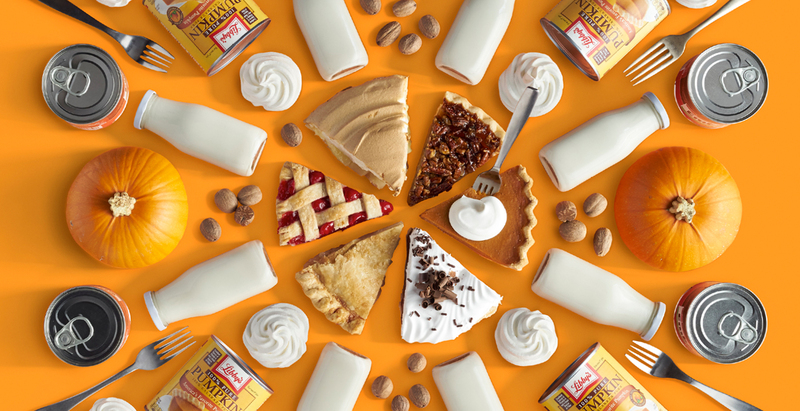 Imagine: turkey without gravy, pie without ice cream, a meal without friends. In a way, it’s like Christmas without Santa Claus. 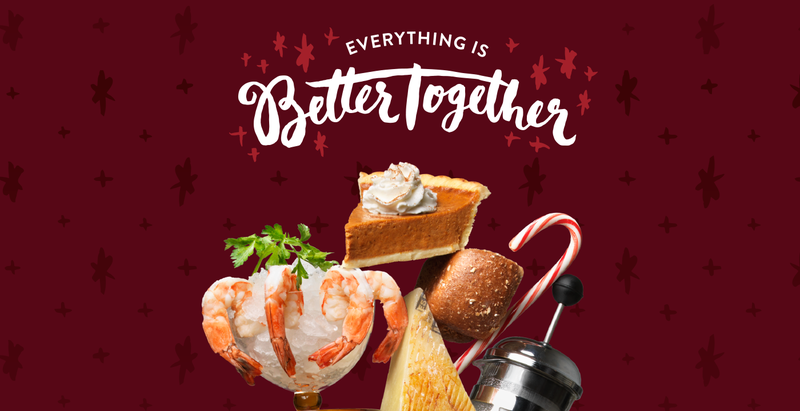 Because everything is better together—egg and nog, bread and butter, people and food. 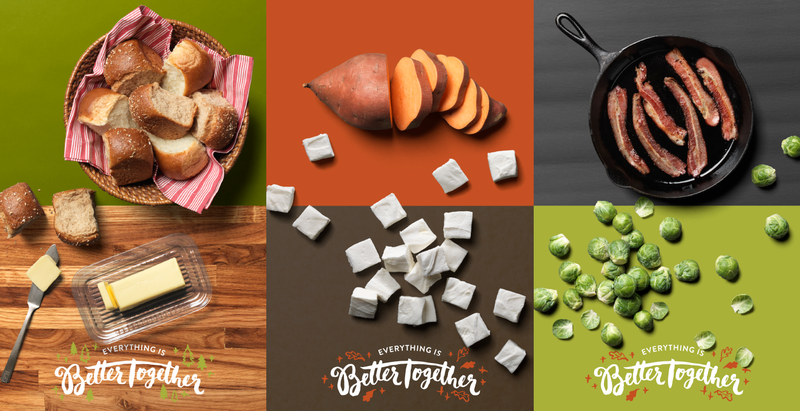 In this lighthearted campaign, we celebrate the coming together of food, family, and friends by showcasing an array of seasonal food and related product combinations that both surprise and delight. 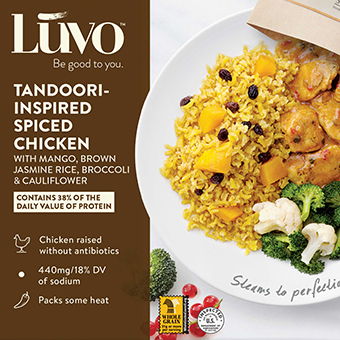 Ultimately, a grocery store’s claim to fame comes from the food they sell, and although New Seasons is a one-of-a-kind grocery shopping experience, they made it very clear to us that the food needed to be the star of these campaigns (and oh yeah, make sure you make it look yummy and mouth-watering). 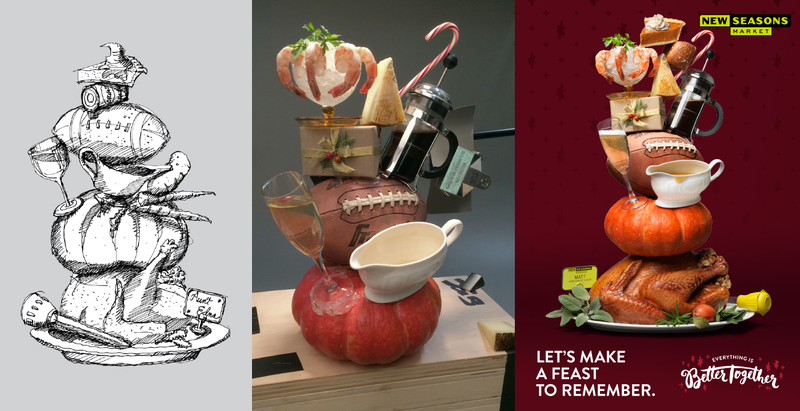 Both campaigns feature the foods of the season captured in fun, unique, quirky (and quite visually compelling ways, if we do say so ourselves). 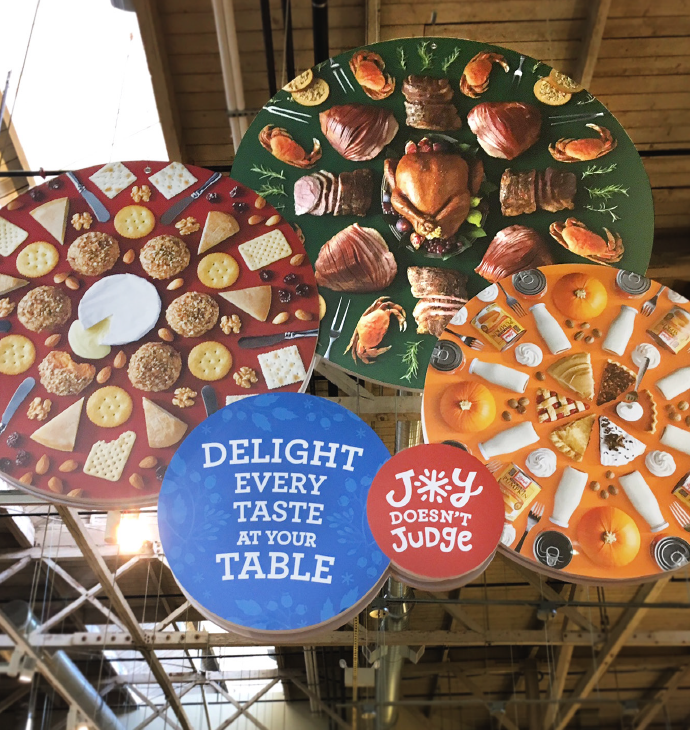 Paired with custom typography and unified messaging, these striking visuals made New Seasons Market the go-to grocer for all things Holiday. Photo credits Jim Golden and Noel Barnhurst.